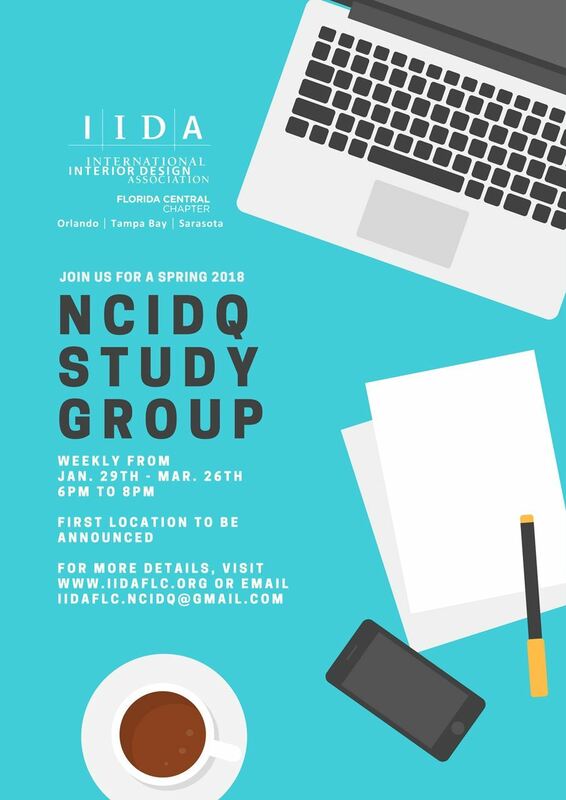 IIDA FLC will be hosting a study group in Tampa to help you prepare for and PASS the NCIDQ exam. Due to volunteer mentor availability, space is limited to 20 people. Registration only open until 1/26/18 with first session on 1/29/18 from 6pm-8pm (first location to be announced). Follow up correspondence with session locations and details will be sent out to all registrants. Participants who miss more than 2 sessions will be removed from study group. FREE for current members and only $30 fee for non-members! Drinks and snacks will be provided. Below is the book that we will be using as a guide throughout all the sessions. This is not the only reference manual out there, we would encourage you to check out other references as well. In our experience this is the most thorough review book for the exam. Please order this book prior to our first session.